What Is the Legal BAC in My State? According to the Governor’s Highway Safety Association, 49 of the 50 states have laws on the books defining the crime of DUI/DWI as when you are driving with a blood alcohol content (BAC) of .08 or more. In Utah, the state government recently lowered the BAC limit from .08 to .05. The BAC level is the same for charging someone with boating under the influence (BUI). If you are under the legal drinking age of 21 and you are drinking and driving, the situation is totally different. As an underage drinker, you can be charged with DUI/DWI with a BAC ranging from .00 to.02. This is because all 50 states have zero tolerance laws for underage drinking. So even if you have one drink and it’s not affecting your nervous system, if you are pulled over and given a breath test, if there is even the smallest amount of alcohol detected in a breathalyzer, you can be charged with DUI/DWI. In many cases, the police don’t have to prove that you are intoxicated, or that you are driving while impaired. All they have to prove is you have been drinking. In some states, you can lose your license if there is an open container in your car, even if you are not driving, and the container is not yours. Check out this listing of the specific underage drinking laws by state. An early DUI/DWI conviction can have serious consequences for a young person, beyond the penalties listed above. You may have a hard time finding a job, or risk getting into college, losing scholarship money, and more. All 50 states have ignition interlock device laws. In some states, anyone convicted of a DUI/DWI is required to get an ignition interlock device (IID) installed in their vehicle in order to earn back full driving privileges. Some states require IIDs even for a first offense. The length of time you have to have the ignition interlock device installed in your vehicle depends on the state you live in, and if this is your first DUI conviction, or a repeat offense. Again, laws vary by state, but in some states, you are only allowed to drive to and from work, or to and from a driving school. In other states, such as California, once you have your IID installed, you can drive wherever you want, whenever you want. If you violate the terms of your program, your DMV can reinstate your license suspension, however long that may be. How Much Does an Ignition Interlock Device Cost? Ignition interlock devices vary in cost by state, based on your state laws and what features the device has to include, such as a camera, for instance. Your total cost will also depend on how long you have to have the device installed in your vehicle. But generally speaking, an ignition interlock device will cost you about $2-3 dollars a day, after the initial installation cost. 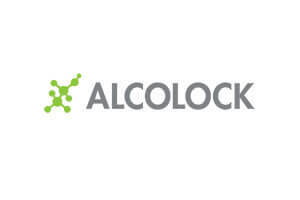 You lease the device from a provider like ALCOLOCK, and pay a monthly maintenance fee. This covers your monthly service visit where your technician uploads all of the information the device has recorded to your monitoring agency (generally your state DMV.) At this visit the technician will also check to make sure the device is working properly, and recalibrate it as needed. Your technician will remove your device at the completion of your restricted driving program, generally at no additional cost to you. If you tamper with or damage your ignition interlock device, you will be responsible for the costs of repair or replacement. Need an Ignition Interlock Device Installed? 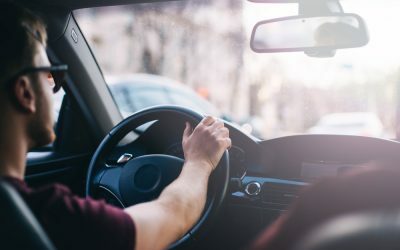 If you are eligible for the restricted driving program in your state and need to get an ignition interlock device installed, ALCOLOCK can help. We offer fast and friendly installation, and we give you full training in how to use your device. We’ll calibrate the device to you specifically, so if someone else will be driving your car while the IID is installed, have them come in for training and calibration as well. We have service locations throughout the United States. You can contact one of those locations directly, or call us at 866-700-9300 to get started. Or you can use our contact form to schedule an installation. We’re ready to work with you to get you back on the road.